L - Pours a nice caramel/hazy color with little to not khaki head. S - Definite sweet caramel and bready malts followed with pleasant red wine characteristics. Really intense on the nose. T - First impression, is like an English barleywine and fresh red wine mixed together. The red wine is a little too fresh tasting for my liking. The base beer doesn't really shine through as much as the tannic, bitter red wine does. It's unique, just doesn't meld well. F - Light bodied and little to not carbonation with a wet finish. A bit more carbonation and I think that would help out the mouthfeel. O - This beer has highs & lows. The lows just outweigh the highs. Large shared bottle poured hazy, reddish-brown with a weak head. Fairly rich and moderately complex flavor. Lightly bitter: more so in the aftertaste. Pronounced influence of the red wine barrel in both the aroma and the flavor. So much so that this tastes somewhat like a (good) red wine. Feel: Light carbonation with a full body. 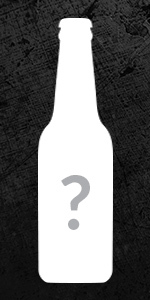 Appearance - The beer was a blackish brown color with no head noted. Smell - The wine really makes an impression like a dry wine. Taste - The beer was grapey, slightly nutty, and cherries with a slightly warming after. As far as barleywines go, the taste is unique. I really would have trouble with more than about 4 oz of this one as it begins to develop a medicinal quality. Mouthfeel - The barleywine demonstrated low carbonation, which allowed the taste to stick. Overall - I brought this to a bottle share with the charred barrel version. The carbernet version was the winner. Way too much wine. No noticeable wood.